Really Wild Veg – or is it just feral veg? One of the difficulties with studying the wild ancestors of domesticated food plants is knowing if plants are truely wild? 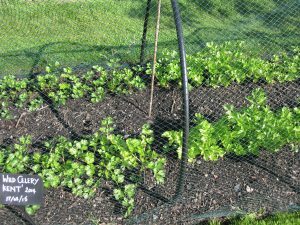 Celery trials growing well at the Botanics with wild plants on the left and a heritage variety ‘Plein Blanc Dore Chermin’ on the right. Already the wild plants are less leafy and a darker colour than the domesticated plant. Domesticated plants will generally inter-breed quite happily with their wild ancestors. What this means is that if the wild and domesticated plants are within a few kilometres of each other pollinating insects can easily facilitate cross pollination. The result is wild plants with a genetic contribution from domesticated plants. Is the population still wild? Another scenario is that what you think is wild is simply feral. Here there were never any wild plants of your target species in the first place, but domesticated plants hopped the garden fence and became naturalized. These newly wild plants have to fend for themselves and experience natural selection. It has been observed that over relatively few generations domesticated plants revert to looking very much like wild plants. So, how can we tell them apart? This whole issue is central to the Really Wild Veg project. We are keen to see how domestication has changed food plants through a series of growing trials involving wild, heritage and F1 hybrid plants, but if our wild plants turn out not to be what we thought where does that leave us? 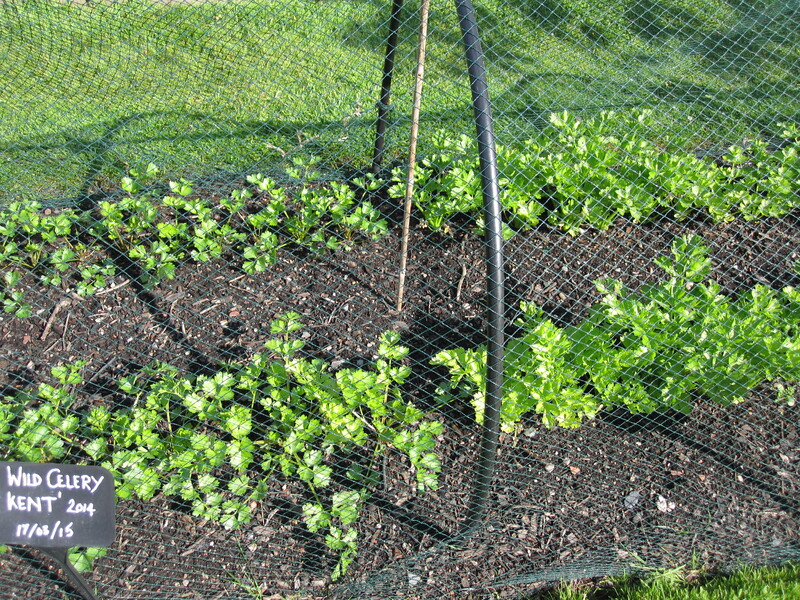 This year our main focus is to grow trials of carrot and celery, with the latter being a new species for the project. However, we are repeating our trial with cabbage as it has proved particularly useful for running blind taste tests. 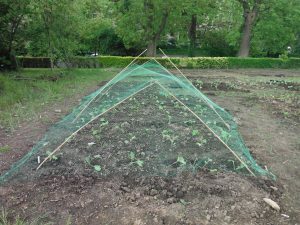 We have also teamed up with Elizabeth Mittell, a PhD student who is studying Brassica genetics, who is replicating our growth trials in her plots at Glasgow Botanic Gardens. Elizabeth has rightly raised this issue as it is particularly relevant to Brassica. There has been a lot of debate about whether any of the wild cabbage in Britain is actually truely wild. Some suspect that this Mediterranean coastal plant was brought to northern Europe, possibly by the Romans, and at various points in history has gone feral. 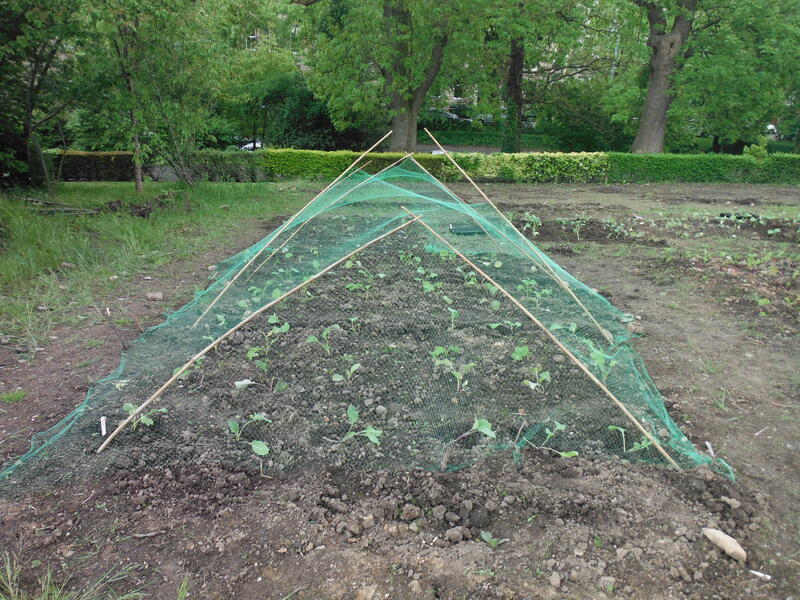 Really Wild Veg trials with Brassica being grown at Glasgow Botanic Garden as part of the Brassica research being conducted by PhD student Elizabeth Mittell. Photographed on the 3rd July. Teasing out the truth is possible with analysis of genetic variation, but this type of work is not currently within the scope of the project. What we have noticed in our taste tests is that most people readily detect a taste difference between ‘wild’ and domesticated cabbage, with wild having a stronger flavour. This in itself indicates differences in chemistry exist. What will be really interesting is to see what the nutritional analysis being conducted at the Rowett Institute of Nutrition and Health will reveal. This work is focussed on a series of phytochemicals linked to maintaining health by combating cancer, diabetes and heart disease. If we do find significantly higher concentrations of these chemical compounds in the wild plants is this evidence they are truely wild or has natural selection changed feral plants making them more like their wild ancestors? This is the nature of science, you raise as many questions as you answer.